Some information you might not see elsewhere, but we have confirmed. The US version of the R35 GT-R will get a slightly softer setting for its "Comfort" mode. The "R" mode will be the "R" mode, the same as Japan. The spring rates will be the same - US and Japan. 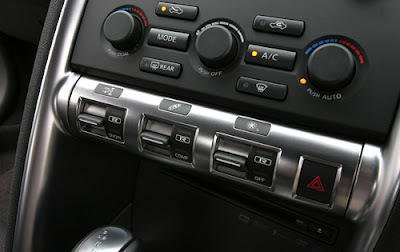 The US roads helped to make the decision to slightly change the setting for comfort. Hopefully this/next week I can be in a JDM car on US roads to give my impressions on our roads. I will have to see how it compares to the Cadillac Deville I am driving currently. There also will be other hard point changes in the suspension. I can't give too many details on this yet, but know they are coming. In the next few days, I should have a lot of detailed, technical information about the cars and engines.